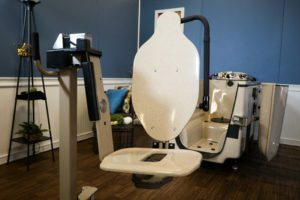 The MasterCare Transporter Transfer System is designed to integrate with your Integrity Bathing System (Cantilever Model) in addition to showering, weighting and toileting.It is designed to significantly improve the efficiency and environmental safety of your nursing care operation. 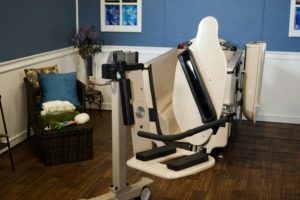 The Transporter is available with Fixed Back or Tilt-in-Space (optional) to maximize bathing immersion and comfort. There is a peri area opening and the transporter fits over a standard toilet. It also come standard with security belts and comfort pads. 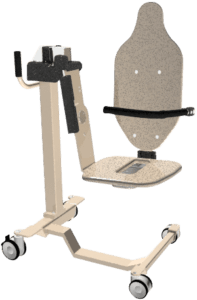 Rated at 400 pounds; constructed of power coated aluminum, gel coated fiber glass and composites - it is built for ease of maneuverability, cleaning and use! Available in white or tan. Custom colors are available. Capacity The scale uses two -600kg - Single point, aluminum load cells with potted gages for moisture protection. The load cells have matched output so that load cell exchange does not the necessitate calibration.